The expansion and escalation of global terrorism has left populations across the world and decision-makers responsible for contending with it unprepared. This book, now in paperback, is the first attempt of its kind to create a manual of counter-terrorism measures on all the relevant operational levels. 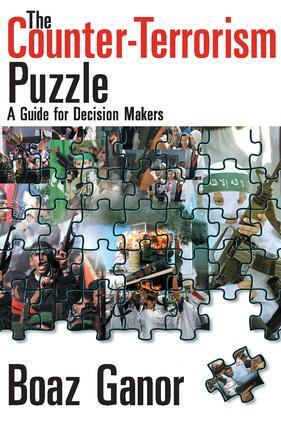 The author's main purpose is to give decision-makers the tools to make rational and effective decisions in both preventing and countering terrorism. The need to contend with terrorism can be found in almost every sphere of life: security, prevention and suppression of terrorism, legal and ethical dilemmas regarding democratic issues, such as the individual's human rights, intelligence interrogations, the right of the public to know, as well as coping with social, psychological, and media-related issues.